These restaurants are all locally owned small businesses that have one huge thing in common besides great food, that is their exceptional service and commitment to providing the best experience possible. I have personally been to each one of these Restaurants. I love small business restaurants for several reasons. One, I am a small business. As an Edmond Real Estate Agent, I thoroughly understand how difficult it is competing with the big dogs. So, I can appreciate someone doing a great job and I want to support them. After all they are the ones going up against the big dogs. Great food and Service is the key to get you through the door with only word of mouth. Two, the service is a lot better because they want you to return. Many times, the owners are working there. I always know it will be a good place if the owner comes out to greet you or check in while dining. When you eat at one of those big chain restaurants you are missing the opportunity to support a local small business. When you support the locally owned businesses you are helping local families support themselves, buy food, pay for college etc. Most importantly the money you spend stays local and in our community. These are MY must go to local eateries. 1. The Heat Pizza (formally Humble Pie) If you loved Humble pie you’ll love this place. The Heat is the place to find buttery, flaky, deep dish crust filled with delicious toppings smothered with homemade sauce. Chicago style pizza right here in Edmond OK. I’ve always loved this place and reading through the reviews is making my mouth water. Keep in mind this is not fast food pizza. It does take a while to prepare a deep-dish pizza to perfection. If you’re in a hurry check out the online menu and call your order in ahead of time. Repeatedly I see in the reviews that this is the best Chicago style pizza in Oklahoma. They also keep saying that the owner often comes by to say hello. The heat pizza makes the list! 2. 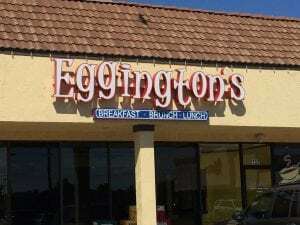 Eggington’s Is not the typical greasy spoon diner. However, I’ll have one on the list here. Calling all breakfast people! We’re bringing the Edmond community both food and service that are a notch above the rest. Around here, quality ingredients are the stars of the show. We use all the good stuff to whip up your favorites, like biscuits and gravy and sweet cream pancakes. Breakfast is our specialty, but our lunch menu never fails to impress. You absolutely cannot leave without having the Cheezy Hash Browns. This some of the best breakfast food around. You can also order with healthy options at Eddington’s. You will thank me later. 3. The Cow Calf-Hay -Burgers and Breakfast. a local restaurant that takes pride in serving Certified Angus Beef, 100% fresh never frozen beef. You can count on The Cow Calf-Hay to only use ingredients of the highest quality. 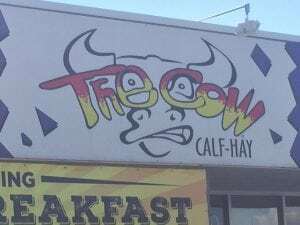 This place is known for their amazing burgers but if you haven’t tried the breakfast, you might be missing out. Breakfast if from 7:00 to 11:00. Lunch and diner form 11:00-8:00 Great atmosphere with a great small town diner like experience. Make sure you get the Ultimate Chicken Sandwich. 4. 3 Tequilas – Mexican and Margaritas. If it’s nice go sit on the patio. 3 Tequilas probably has the best margaritas in town! They just have so many different options and sizes to choose from. I usually order their house frozen and it’s wonderful. While the margaritas are good, the food is awesome. The rare unicorn “White queso” is to die for. 5. 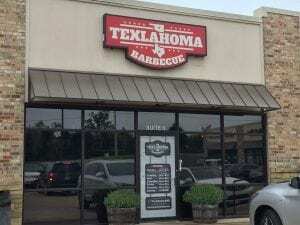 Texlahoma BBQ – They’ve been around since 2015 and are steadily making a name for themselves as the best BBQ around. The chopped brisket is the best I’ve ever had hands down. Make sure you don’t leave without trying the pulled pork. You can order by the pound to go or dine in. 6. 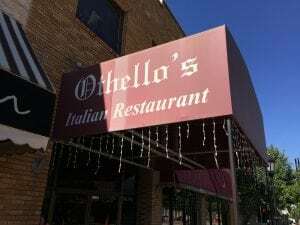 Othellos -Italian food. It’s located in one of Edmond’s historic older buildings downtown. Very authentic atmosphere. The fresh made pre-meal bread is amazing and served with olive oil and balsamic vinegar. So good. Felt like an old-school Italian eatery. The menu is amazing, or you can pick your pasta, sauce and protein. Get “The Taster” for a small sample of different appetizers. 7. 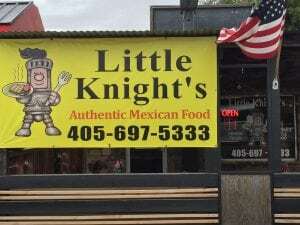 Little Knight’s – Authentic Mexican. This very tiny place is big on flavor. The burritos or street tacos will keep you coming back. This place is near my home and I probably pick up an order of Street tacos once a week. I usually sit out on the patio and have a Corona while I’m waiting for the food. This is truly a small family owned establishment. You might see their taco truck around town also. Don’t leave without having a street taco. Just let them make it like it comes. Don’t get all custom on your order. 8. 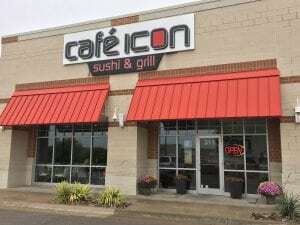 Café Icon – Cafe Icon Sushi and Grill, formerly known as Tropical Cafe, is a full-service family restaurant. Edmond’s Exotic Culinary Experience for the Whole Family, Lunch and Dinner. signature salads, sushi rolls, Panini sandwiches, hibachi dishes and more. Café Icon is quickly becoming the go-to Sushi place. 9. 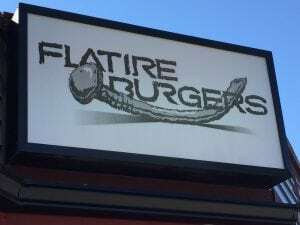 Flatire Burger- Fun eclectic burger joint with some crazy offerings. Flatire Burger is to UCO as Eskimo Joes is to Stillwater. Must get items are the Cheese fries, the Juicy Lucy Burger and any of the Groovy shakes. Overall, I would recommend this place over The Garage and Bricktown Brewery. The UCO burger joint. For a little adventure get the S’mores for desert. 10. 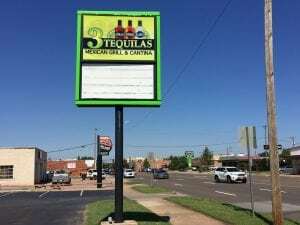 Eischen’s Bar – While this is not in Edmond, it is nearby and locally owned. Plus, this is one of those places that if you live in Edmond you must visit at least once. The menu is short and sweet. Who does not love fried chicken? This place knows how to do it right. If you’re in the mood for fried chicken, nachos, beer and hanging out with friends this is the place. A couple things to make note of- Make sure you stay the speed limit coming and going. (Small town tickets are big). Also make sure you bring cash because they don’t take plastic. Bring your friends. If you find a place on this list that you have never heard of, then maybe you should get out and go try it. Enjoy Edmond. Known as the “Crown Jewel of Oklahoma,” Edmond just recently made the listing for Time Money Magazine’s Ideal 50 Places To Stay in 2016. They examined over 60 aspects including taxes, education and learning, health care, tasks and also even more to establish the most effective hometowns. Found simply north of Oklahoma City it has a populace of simply over 90,000 residents. Have a look at a few of what Edmond needs to use. With a population of 81,405, making it the sixth largest city in the state of Oklahoma. The city coordinates are 35.6528° N, 97.4781° W, is a city that is part of the Oklahoma City metropolitan area. Edmond is a city in Oklahoma County, Oklahoma, United States, and a part of the Oklahoma City metropolitan area in the central part of the state. As of the 2010 census, the population was 81,405, making it the sixth largest city in the great state of Oklahoma. 1. Edmond was the only city in Oklahoma to make it on the 2016 list. Edmond is understood for great education and also has one of the top institution districts in the state. 2. Arcadia Lake is an attractive lake that is wonderful for angling blue catfish, largemouth bass, bluegill, as well as channel catfish. Plus it’s a preferred outside place for residents. 3. The city is also residence to The University of Central Oklahoma – one of Oklahoma’s fastest-growing colleges as well as a major company for the city. In addition to UCO, you’ll locate 2 other colleges: Herbert W. Armstrong University and also Oklahoma Christian University. 4. There are likewise over 20 sensational parks around community to appreciate the lovely outdoors. 5. And also lots of places to discover a peaceful place to relax. 6. The city is recognized for beautiful neighborhoods and also reduced commute times. 7. Along with new shopping mall and also design. 8. Also in the evening, you can discover well-lit areas to eat in restaurants or store. 9. It’s additionally residence to the well-known Downtown Arts Celebration held every year for the last 40 years, showcasing art from over 100 artists throughout the country. 10. The city additionally supports neighborhood art. From murals to sculptures to stained glass, you’ll locate one-of-a-kind public art items around town. 11. Midtown has lots of charm and is a fantastic spot to take pleasure in a meal or store in neighborhood boutiques. Called the “Crown Jewel of Oklahoma,” Edmond recently made the checklist for Time Cash Publication’s Ideal 50 Places To Reside in 2016. They analyzed over 60 elements consisting of tax obligations, education and learning, healthcare, work and even more to figure out the most effective hometowns. Located just north of Oklahoma City it has a population of simply over 90,000 residents. Have a look at some of what Edmond needs to offer. With a population of 81,405, making it the sixth largest city in the state of Oklahoma. The city coordinates are 35.6528° N, 97.4781° W, is a city that is part of the Oklahoma City metropolitan area. Edmond is a city in Oklahoma County, Oklahoma, United States, and a part of the Oklahoma City metropolitan area in the central part of the state. As of the 2010 census, the population was 81,405, making it the sixth largest city in the great state of Oklahoma. 1. Edmond was the only city in Oklahoma to make it on the 2016 list. Edmond is known for fantastic education as well as has among the leading school areas in the state. 2. Arcadia Lake is a gorgeous lake that is great for fishing blue catfish, largemouth bass, bluegill, and also network catfish. Plus it’s a favorite outside area for residents. 3. The city is also home to The College of Central Oklahoma – one of Oklahoma’s fastest-growing colleges and also a significant employer for the city. Along with UCO, you’ll locate two various other colleges: Herbert W. Armstrong University and Oklahoma Christian University. 4. There are additionally over 20 spectacular parks around town to delight in the charming outdoors. 5. As well as lots of areas to locate a serene location to loosen up. 6. The city is recognized for beautiful areas and low commute times. 7. In addition to brand-new shopping mall and also design. 8. Also at night, you can discover well-lit areas to eat in restaurants or store. 9. It’s additionally home to the renowned Midtown Arts Celebration held each year for the last 40 years, showcasing art from over 100 musicians across the nation. 10. The city likewise sustains regional art. From murals to sculptures to tarnished glass, you’ll find unique public art items all around town. 11. Midtown has lots of beauty as well as is a great place to enjoy a dish or store in regional boutiques.